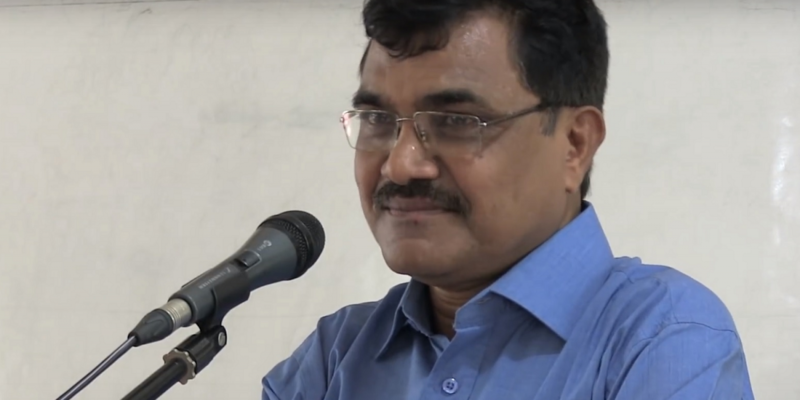 New Delhi: Noted academic and author of several books on anti-caste, Anand Teltumbde, addressed a public gathering in Delhi on the occasion of Ambedkar Jayanti. This year marks 128 years since the birth of Babasaheb Ambedkar in 1891. Teltumbde is currently seeking anticipatory bail in the Elgaar Parishad case where the Pune police have alleged that about 22 well-known public intellectuals and activists, including Teltumbde, have links to Maoist groups and were involved in the Bhima Koregaon violence of 2017. His bail hearing comes up in court on April 16 along with Vernon Gonsalves and Arun Fereira. At the event organised by The Leaflet, a website managed by senior advocates Indira Jaisingh and Anand Grover, Teltumbde spoke about contemporary challenges impacting India’s anti-caste movement. His talk focused on fractures in India’s Dalit rights, anti-caste and Ambedkarite movement. His critique of the discourse, literature and movement was unsparing – he raised questions about Ambedkar as well as politicians and followers of Ambedkar who claim to work in his name. ‘Annihilation of caste’ is a radical center-piece text of the Dalit movement. It was a speech which Ambedkar had prepared in 1936, to address a gathering of Hindu reformists who had invited him to speak on caste. They rescinded his invitation but the text was published anyway. “Caste as a system is collapsing but caste as a consciousness is increasing,” said Teltumbde. His speech in Delhi made critical references to various political parties, including ones that they say are working for the betterment of Dalit lives. The government alleged in court that these well-known public intellectuals were actually urban fronts for Maoist activities and that they were linked to “inflammatory” speeches which led to the Bhima Koregaon clash in December 2017. About 22 people were named in the case, including Surendra Gadling, Rona Wilson, Shoma Sen, Sudha Bharadwaj, P, Varavara Rao, Vernon Gonzales, Arun Fereira, Gautam Navlakha and Stan Swamy. Several were arrested and are pursuing bail. Teltumbde was briefly arrested in February by the Pune police. The Supreme Court rejected his plea to quash the FIR against him but also granted him protection for arrest for four weeks, in January, so that he could seek bail from the trial court. Then a Pune sessions court rejected his plea for anticipatory bail. The same Pune court later ruled that his arrest was “illegal.” The Bombay High Court denied him protection but said he could be released on a bail bond of Rs 1 lakh. Teltumbde is the author of 26 books, including a number of books on caste in India such as Republic of Caste: Thinking Equality in the Time of Neoliberal Hindutva, The Persistence of Caste: India’s Hidden Apartheid and the Khairlanji Murders and Dalits: Past, Present and Future.